Trachemys scripta is the fancy name for Red Eared Slider. If you were born before 1975 you may remember small turtles sold in dime stores around the country. These turtles were placed in plastic bowls that had a small island and a plastic palm tree. You fed them dried ants and they lived about a week if you were lucky. In 1975 the Federal Government recognized the dangers these turtles possessed. Children would often handle them, place them in their mouths and contracted salmonella, an intestinal bacteria that causes severe diarrhea, dehydration and electrolyte imbalance. In severe cases even death. It became illegal for people to purchase these turtles or any turtle under 4 inches. This posed a devastating blow to the turtle farms that produced them. Even the 4 inch law did stop them from being sold and today stores such as Petco sell them to the public, who often have no idea what they are getting themselves into. There has been a lot of improvement since 1975. Death bowls are a thing of the past. We now know that all turtles and tortoises process calcium with the help of UVB. This is light generated by some light bulbs, but the best source is the sun. There has been huge improvements made in nutrition for these animals as well. Commercially prepared pellets make up most of the captive slider's diets. Although it is always best to provide them with a more natural diet of fish, bugs, crustaceans, fresh green and snails. By providing a clean environment, which consists of filtered water, varied diet, calcium and UVB, you can expect to have a healthy animal. This is where things go wrong. You start out purchasing a small turtle that swims happily in a 20 gallon fish tank. The turtle is young. If all goes right you can expect your turtle to grow and they do rapidly. Females can reach up to 14 inches. This means you will need a much larger setup. The water provided should not be less than 350 gallons. This means your putting a swimming pool in your living room or you need to build it a pond. Along with it's rapidly growing exterior comes rapidly expanding excrement. In other words, poop. Small commercial filters are made for fish waste and you will soon discover the smell of the tank becomes offending quite rapidly and often the water turns yellow. They never told you this in the pet store. I am also sorry to say your turtle will never love you. No matter the species you choose, no matter if it was captive bred or if it has lived in your home for 20 years, it will always choose freedom over you. It is you that will give all the love. Turtles, especially Red Eared Sliders, bite and they bite hard. They are completely inappropriate pets for small children. They will never enjoy being handled. They will never allow you to play like you can with a dog, cat or bird. They are wild by nature and you can't take the nature out of the turtle. Given all these facts it is no wonder they end up in animal rescues daily. 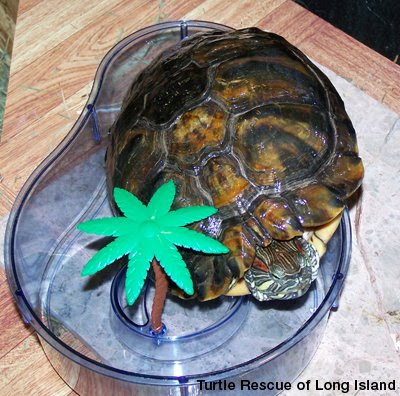 Most animal rescues do not take in turtles. If they do it is because the agent you are speaking to knows of a specialty rescue that deals only in turtles and tortoises. Specialty rescues that handle reptiles are over run with sliders. We recognize the needs of the animal and most will not place them unless the person owns a pond. A pond, a turtle, no problem. You can go down to the nearest waterway and know your turtle will be happy. You couldn't be any more wrong. Native turtles live in population areas. When you release your turtle you risk infecting the native animals with any parasite, bacteria or even aggression your turtle brings with it. Your turtle will compete for food, interbreed with the native animals and infect them. Whole populations of wild species have been wiped out of areas due to the release of Red Eared Sliders. Over time the native turtles will be replaced. This is a problem that has happened all over the world. It is illegal to own or possess a Red Eared Slider in Israel due to people releasing them and infecting the native pond turtles there. Instead they euthanize what they seize. We urge you to think before bringing one of these animals into your home. Will you be able to keep it 40 or more years? Yes, that is the life expectancy of a slider if kept properly. Do you own a securely fenced in pond? Do you live in an area with mild enough winters that the turtle can hibernate safely and not risk the entire pond freezing. These are only some of the questions you need to ask yourself before you bring one into your life. 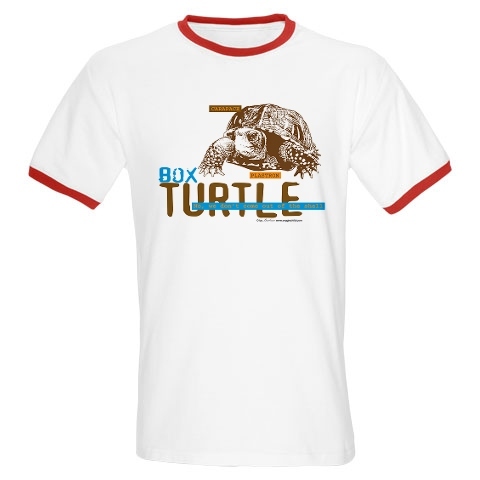 Are your children getting older and will loose interest in taking care of the turtle? Are you at a point in your life when you want to travel? Are you in your child bearing years and will be bringing in a newborn baby. Are you willing to risk salmonella? We only ask you to think before you act.